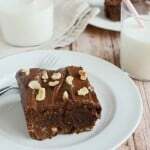 Nutella Brownies – fudgy brownies with hazelnuts and a rich Nutella frosting! A chocolate lovers dream! Happy first day of school for my kids! You guys, this is the first year that all three of my kids are off to school. I’m going to be ALONE. All by myself. With no one asking questions. I have so much to do but I really just want to lie on the couch and watch everything on my DVR. 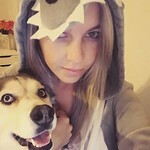 Just because I can. 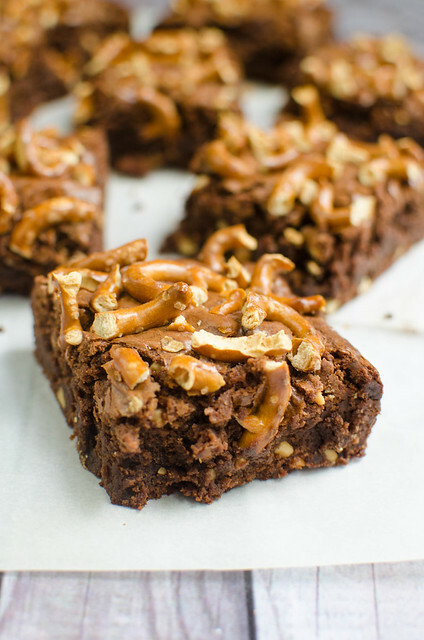 And let’s be real, I’ll probably stress eat some of these Nutella Brownies, too. My youngest hasn’t even been to daycare since he was a year old so this is kind of a big deal and I’m a little nervous that the first day will be rough. I needed major comfort food over the weekend and ended up whipping these up. 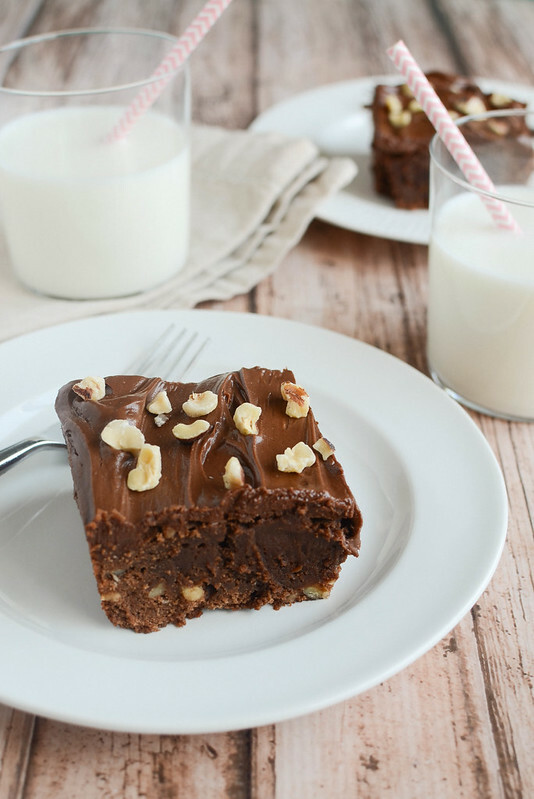 I love a thick, fudgy brownie with nuts in them and since I’m having this thing with hazelnuts recently, I went with those. And nutella frosting, of course. Because why have brownies without frosting when you can have brownies with frosting? They taste like my favorite Ferrero Rocher candies! So good. I could easily eat the entire pan of these. I’m not going to because I’m hoping for froyo tonight to celebrate a successful first day of school buuuuut know that I totally would. These Strawberry Nutella Waffles are the perfect weekend breakfast! They start with a mix so they’re also really easy. My Banana Muffins with Nutella Swirl are one of my favorite prep-ahead easy breakfasts. A batch of these will make your mornings happy all week! Or how about this Strawberry Dessert Cookie Pizza with a sugar cookie crust, cream cheese frosting, fresh strawberries, and a drizzle of nutella? Preheat oven to 350F. Line an 8x8-inch pan with parchment paper or spray with nonstick spray. Melt the butter and semisweet chocolate together in a small saucepan, stirring until smooth. Remove from heat and let cool slightly. Whisk in sugar and eggs. Add flour, cocoa powder, and salt and whisk until just combined. Stir in chopped hazelnuts. Pour into the prepared pan. Bake 30 - 35 minutes or until a toothpick inserted into the center comes out clean. Let cool completely before frosting. To make the frosting, beat together softened butter, nutella, and milk. Spread over cooled brownies. Sprinkle with chopped hazelnuts. 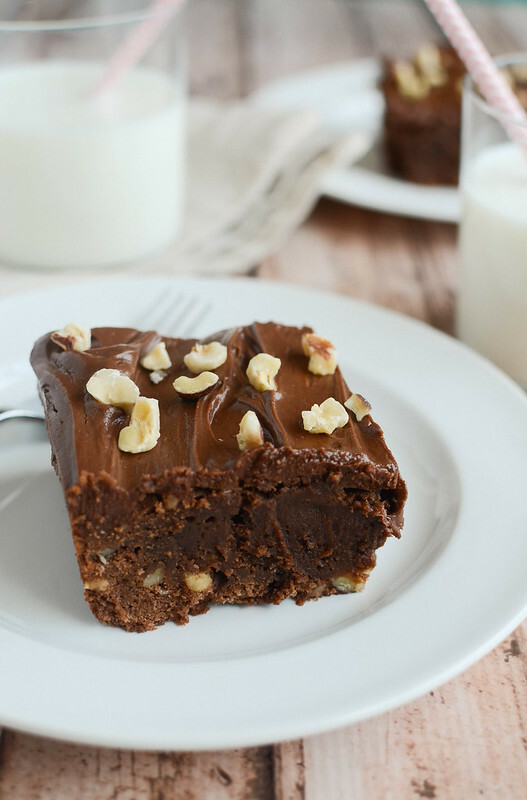 11 Responses to "Nutella Brownies"
These are lovely- that frosting looks sublime! Pinning! Big day! I think I heard angels singing when both my kids were in school. Then I cried. And cried more. But then I missed them. It was good to miss them. High five on adding in nuts! Oh Nutella how I love you, let me count the ways! 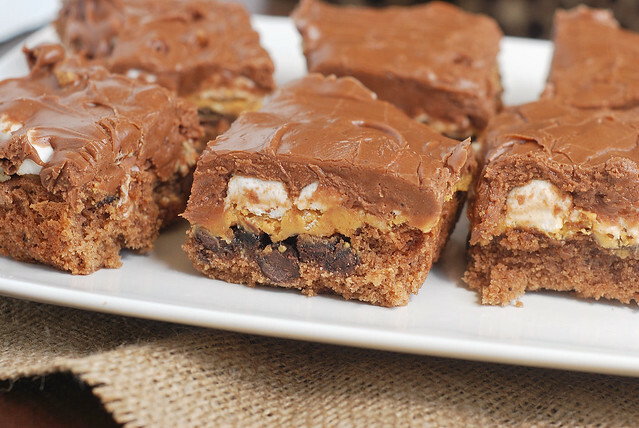 These look amazing, I would need to eat the whole pan! These look incredible! 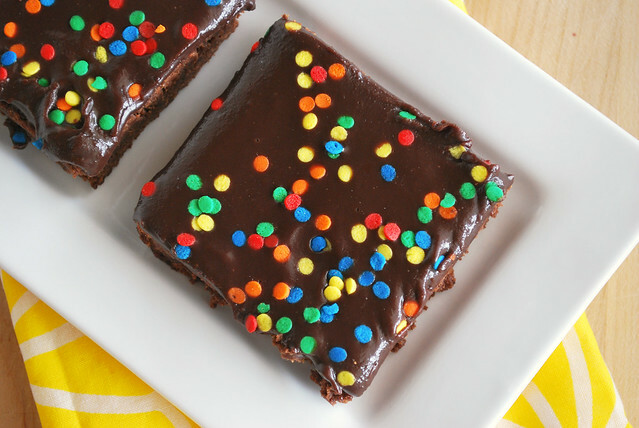 First day of school is the perfect reason for these brownies. I can never have enough Nutella either! 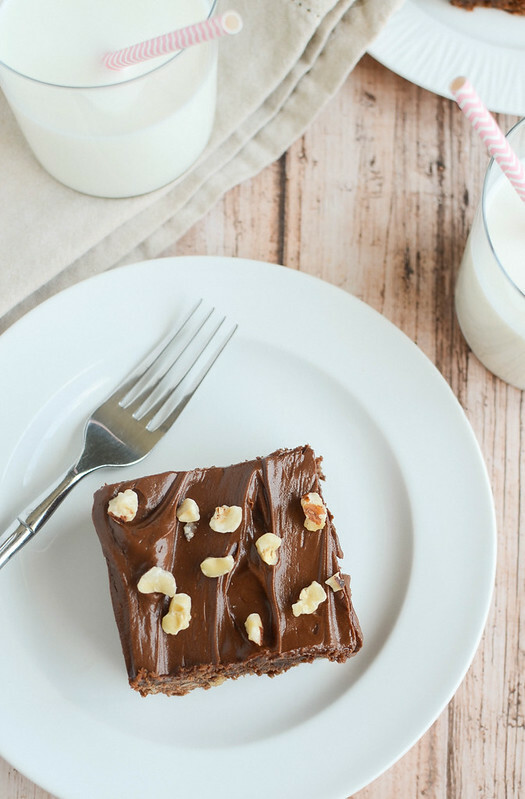 Brownies with nutella frosting, there’s no way these would last long at our house! These look amazing! Just wondering if the sugar can be reduced without compromising the recipe. Just seems like it would be too sweet with the Nutella frosting. I can’t wait to make these. I need to make these. Out of all comments how many have made these brownies? I made them as soon as I saw it. They are the best brownies ever will never make boxed brownies again.so for all of you that did not make them yet you better.